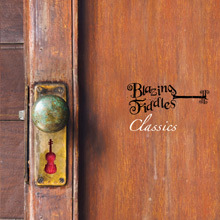 If you've ever heard the Blazing Fiddles live, you'll recognize all of their hit songs, including fan favourites such as The Devil Went Down to Georgia, Fiddler's Fury and The Orange Blossom Special. The 4-piece band shines brightly in this self-produced album. Send us a message today to get one of your very own. Have a look at our video that was shot at C'est What In Toronto. You'll get a glimpse of each of our band members, and some of our favourite tunes.